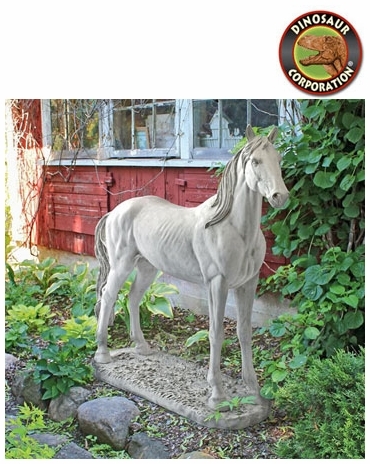 Horse Sculpture Outdoor Garden Statue. With a fluidity of motion even while standing still, this muscular icon is the epitome of beauty and grace. 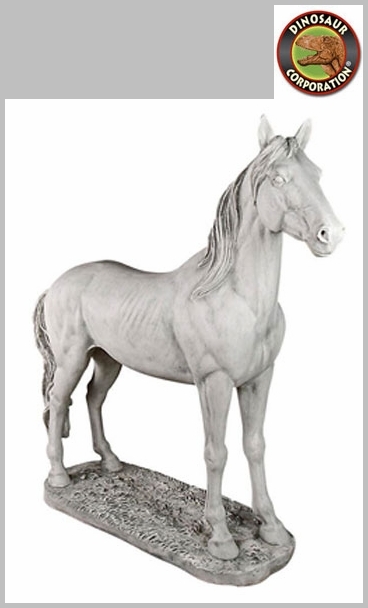 At four feet long and just as tall, our Toscano-exclusive show horse is cast in quality designer resin with an antique stone finish that makes it virtually indistinguishable from gallery originals. Following in the rich European tradition of fine, grande-scale sculpture in garden galleries, this work lets people know that you take the exterior of your home as seriously as the interior. * Size: 48" W x 15" D x 48" H.